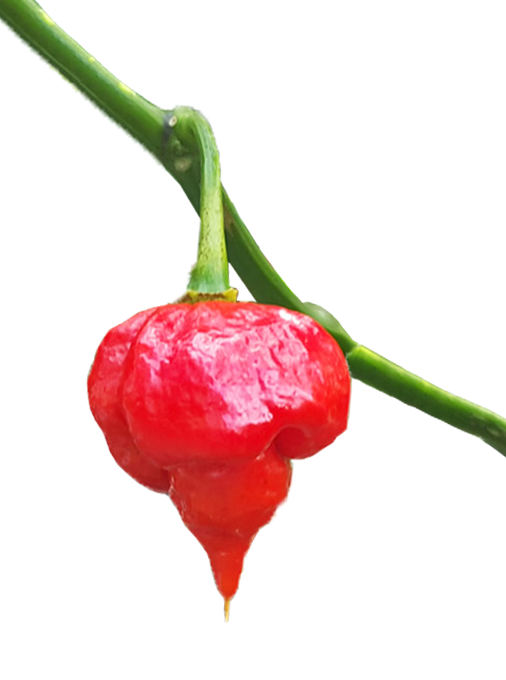 The Trinidad scorpion is not an animal with a stinger if that is the assumption you have made. 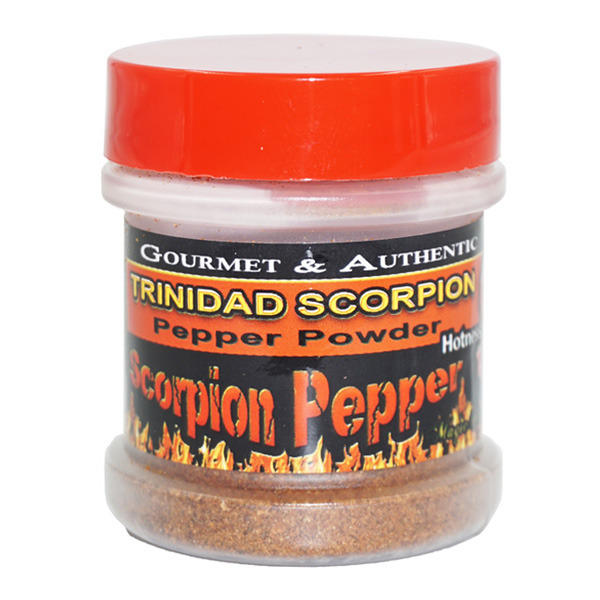 12 pack of Trinidad Scorpion Pepper Flakes / Crushed - 1/2oz in a plastic Jar with sifter lid. 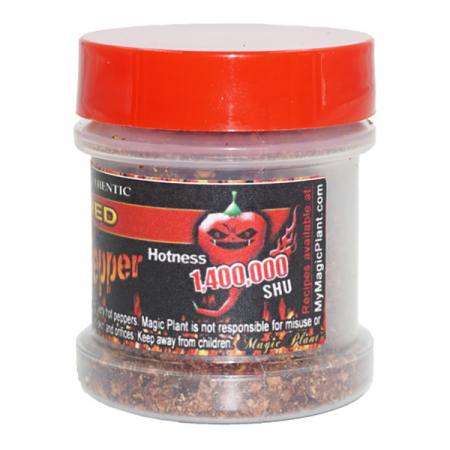 The original Trinidad Scorpion pepper with an AMAZING Hot flavor that will kick your tongue. In 2011 Guinness book of world records confirmed the Trinidad Scorpion Pepper is the hottest chili pepper in the world! WOW IT'S SO HOOOOT!!! 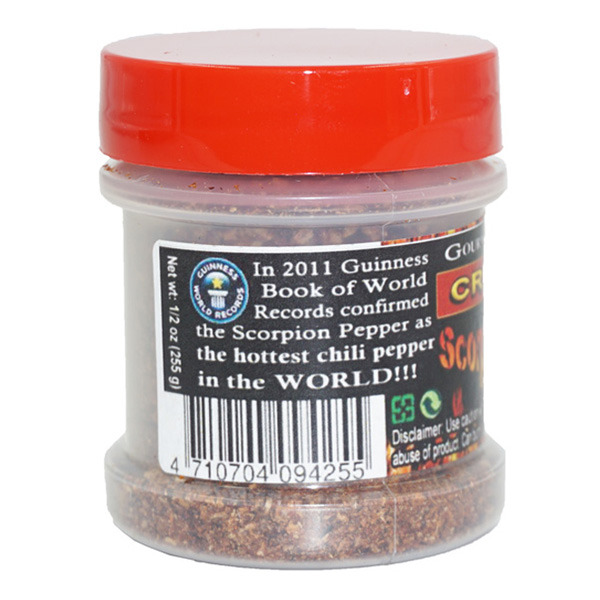 Is it a pure ingredients or its a blend of two or more ingredients?